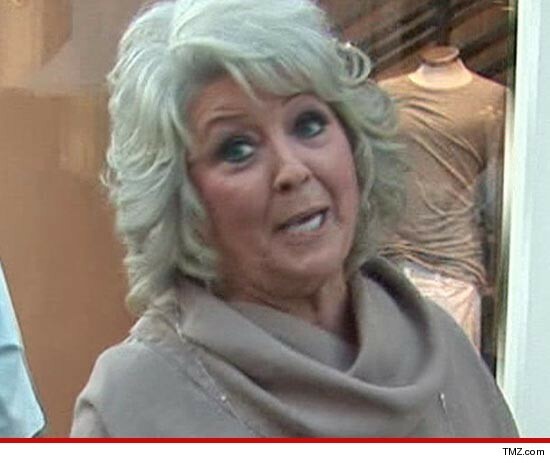 When Paula Deen was asked, under oath, if she has ever used the N-word -- she responded, "Yes, of course" ... and the shocking admission was all captured on tape. Deen was being deposed in connection with a pending sexual harassment lawsuit filed by a former employee who claims she was subjected to a barrage of racist, sexist and generally inappropriate comments while she worked at Paula's Oyster House restaurant in Georgia. Sidenote -- Paula was held up at gunpoint during a bank robbery in 1986. Paula: Well, I don't remember, but the gun was dancing all around my temple ... I didn't -- I didn't feel real favorable towards him. Paula: Probably in telling my husband. Paula: I'm sure I have, but it's been a very long time. Paula: I don't know, maybe in repeating something that was said to me. Paula: No, probably a conversation between blacks. I don't -- I don't know. But that's just not a word that we use as time has gone on. Things have changed since the '60s in the south. And my children and my brother object to that word being used in any cruel or mean behavior. As well as I do. We reached out to Paula for comment -- so far, no word back.